The design goals for pitchclip were simple, convenient features and total ease of use. Clip the tuner to your headstock, flick on the power, and youre ready to tune. As you play a string, the built-in piezo sensor will quickly sense the instruments vibrations and indicate the pitch in the meter. The tuner and display portion of the pitchclip is extremely compact; the battery compartment has been integrated into the clip itself. The meter display uses a sleek design with no protrusions, which affords a discreet and unobtrusive addition to your instrument. Convenient and lightweight, the pitchclip can be slipped into your pocket or guitar case without adding bulk or taking up valuable space, so you can take it anywhere. The pitchclips bright LED display ensures high contrast and a wide angle of visibility; the meter indication remains clear even in dimly lit locations. 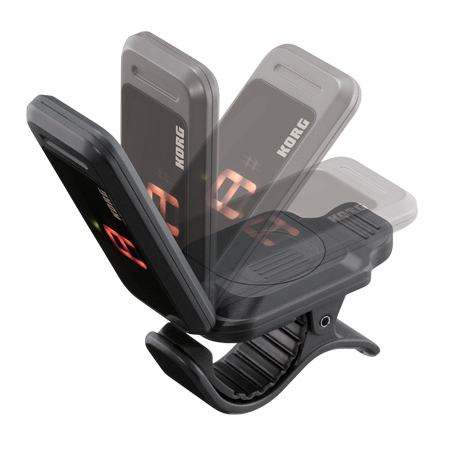 Adjustable through 120 degrees, the meter/display section can be raised to provide the player with good visibility while tuning in a natural position. This function conveniently and quickly reverses the meter display, switching top and bottom. 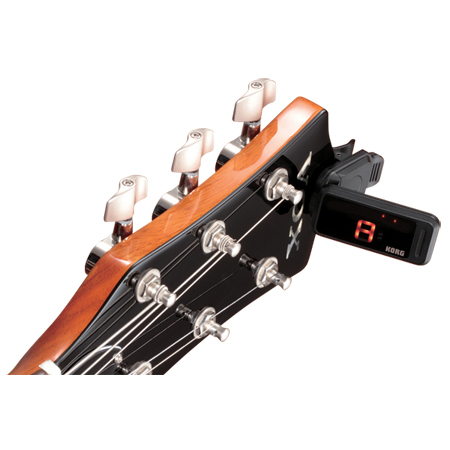 This prevents the player from having to view the display information upside down; regardless of whether the tuner is attached to the front or the rear of the headstock. When powering on, simply hold down the power switch for an extended time to reverse the display. Now, the musician is free to choose the position that's most comfortable and convenient; this feature also makes the pitchclip a great choice for left-handed players as well. 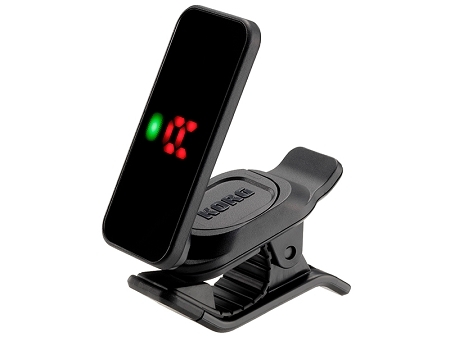 Boasting fast pitch detection and processing, accuracy with 1 cent, and a detection range that covers from A0 to C8, the pitchclip outperforms many of the clip-on tuners on the market today. 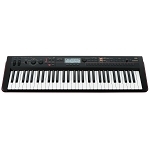 Combined with the affordable price and enhanced display, the pitchclip is a remarkable value. A newly engineered type of rubber is used in the clip, allowing the reliable attachment to a variety of headstocks; ukulele, electric bass, classical guitar and so on. By relocating the battery compartment to the clip section, the meter display section has been made lighter and slimmer, lowering the overall center of gravity and creating a more secure mounting than ever before. Using a widely-available lithium coin battery (CR2032) provides the pitchclip with a generous 17 hours of operation. The Auto Power-Off function automatically turns the pitchclip off when no sound has been detected for approximately ten minutes, avoiding unnecessary battery consumption.